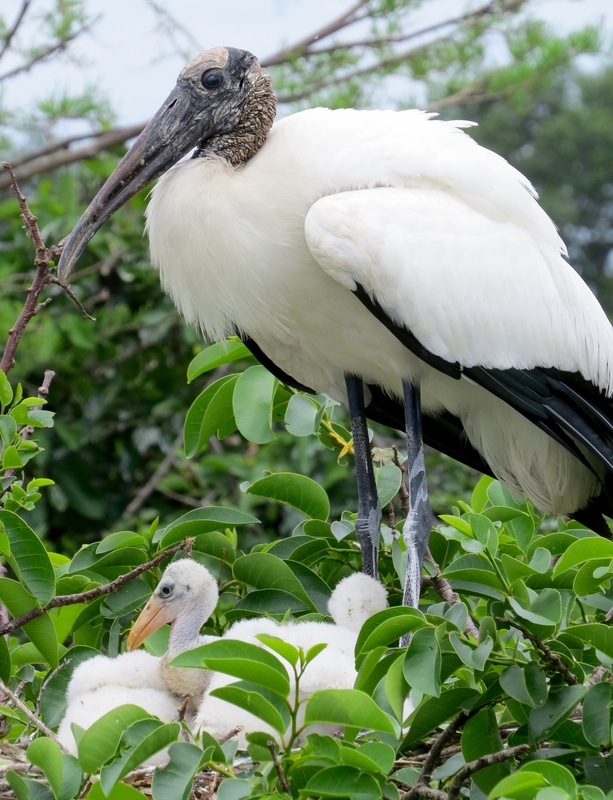 The dozing White Ibis featured above seems unimpressed by the magic of it all, but I love to watch the current batch of babies growing up in the Wetlands now that it is nearly the end of April. You may recall that last year the U.S. Fish & Wildlife Service reclassified the Wood Stork from Endangered to Threatened: “While habitat loss and fragmentation continues to impact the U.S. wood stork DPS, the increase in the abundance of the breeding population and significant expansion of the breeding range reduce the severity and magnitude of these threats.” Well, I would say that our local wetlands may have a lot to do with that – we currently have at least three large nesting islands of Wood Storks, proudly standing guard over multiple nests full of squawking Wood Stork chicks. 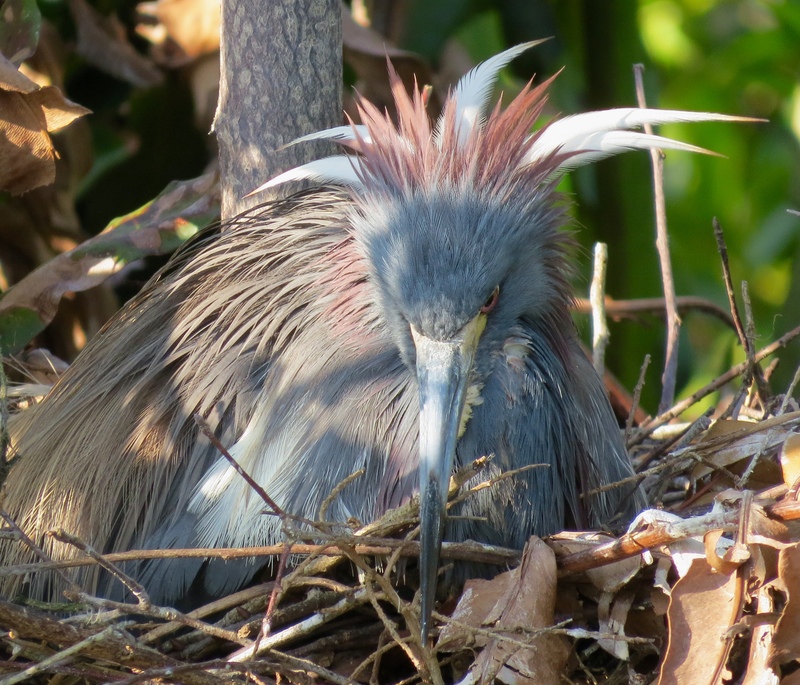 The preserve is also filled with nesting Tri-colored Herons these days. This still awkward-looking chick was bobbing about in the nest right next to another one where his rather stern-looking ‘aunt’ (or ‘uncle’?) was sitting in the bright morning light. 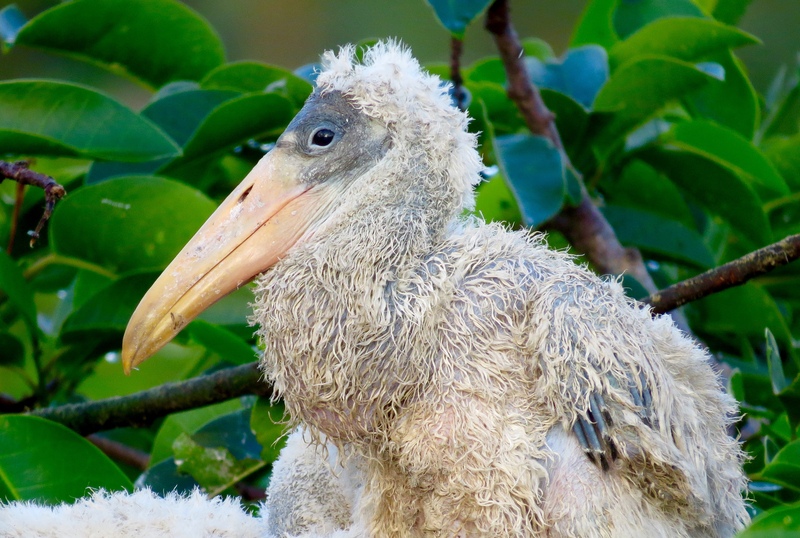 An older cousin, not in breeding colors, shows what a handsome bird this funny little chick will turn into pretty soon ;-D! Why, even the plant life is showing rapid signs of growth and change on a daily basis. 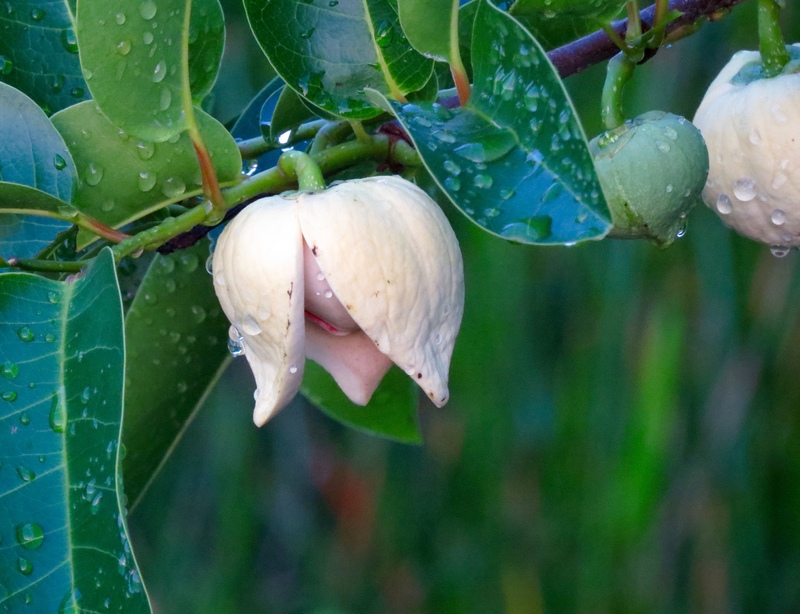 This large heart-shaped bud was hanging from one of the many Pond Apple trees that I see on my walks, just about a week ago. Within a few short days the buds began to open and peel back. 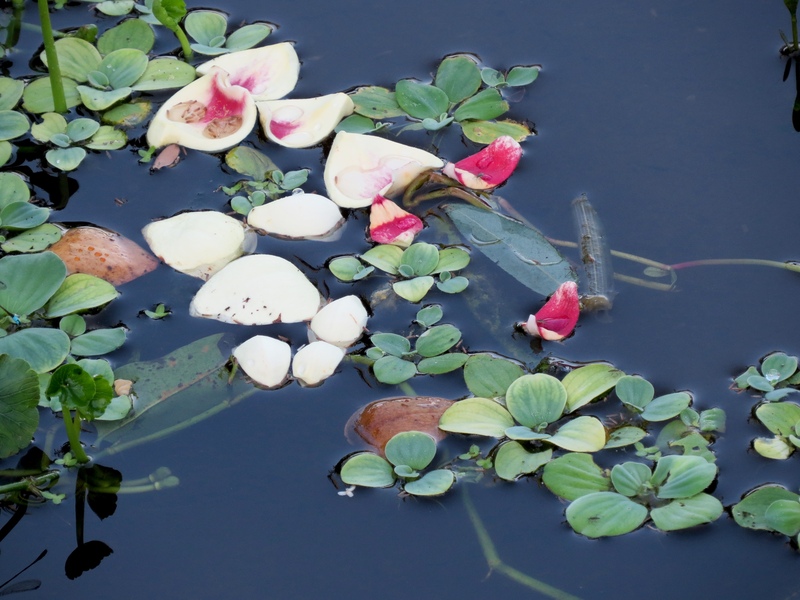 And, nearly at the same time, I started seeing their bright pink and cream-colored petals scattered on the water….soon to turn brown and fade away. 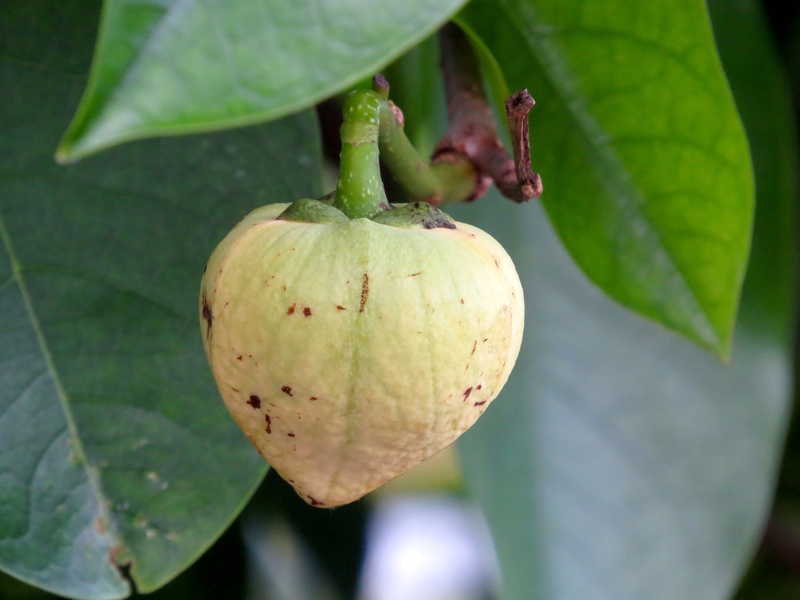 It won’t be long before the large, roundish Pond Apples start to appear, a favorite fruit for many of our turtles and birds. I love watching the turtles play bobbing for apples on the surface after the heavy Pond Apples fall into the water later in the year! 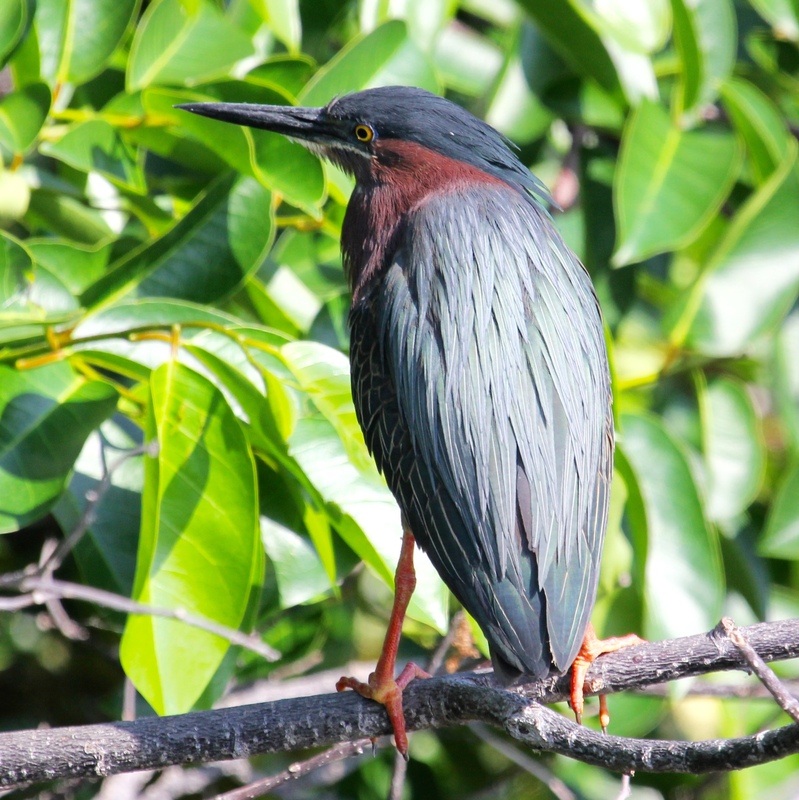 This entry was posted in Birds, Marsh/Wetlands and tagged Green Heron, Tri-colored Heron, White Ibis, Wood Stork. Bookmark the permalink. Thank you, HJ. Wish they were better photos, but the fun is in watching the birds! 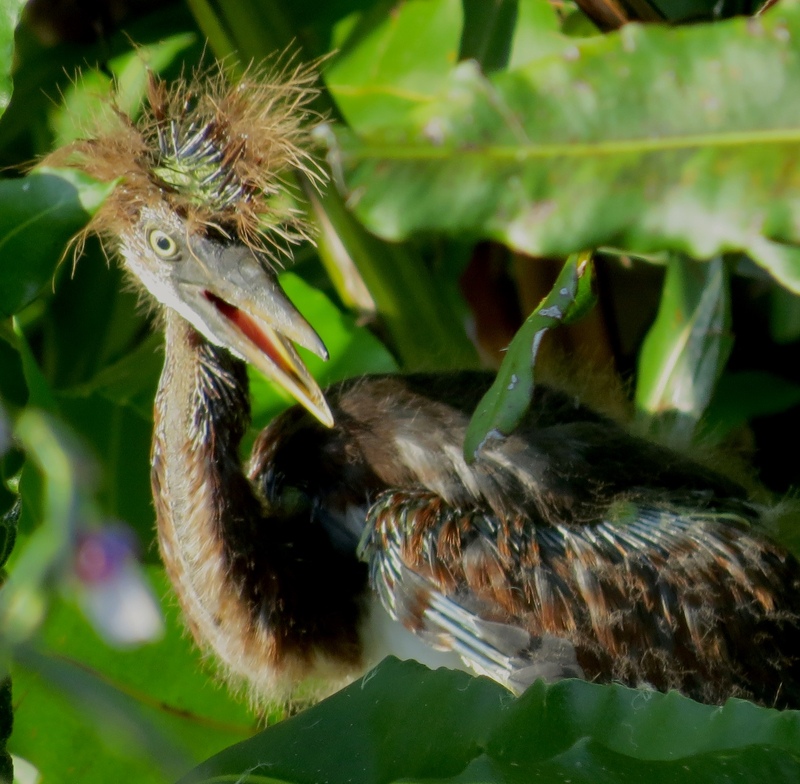 I’ll have to get some more pics of those Tricolored Heron’s before they grow up and look sophisticated :-). Yes … Love that punk look. Love your water birds, and great shots. 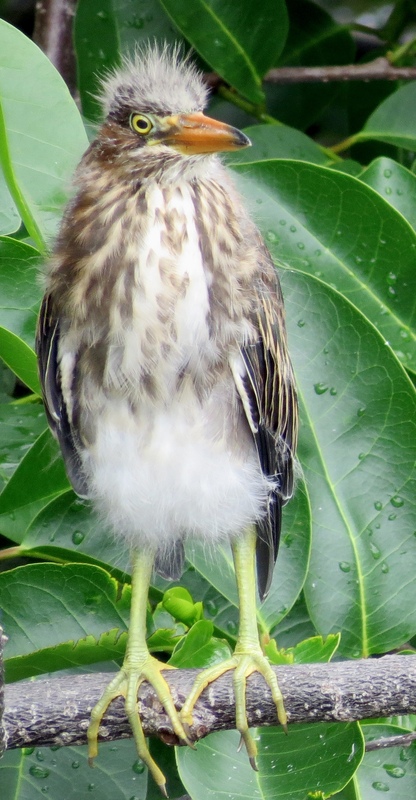 Love your Green Heron, our Striated Herons are very shy and very difficult to get a decent photo of. You are blessed with the storks we only have a couple of types and they are mainly up the top of Australia. 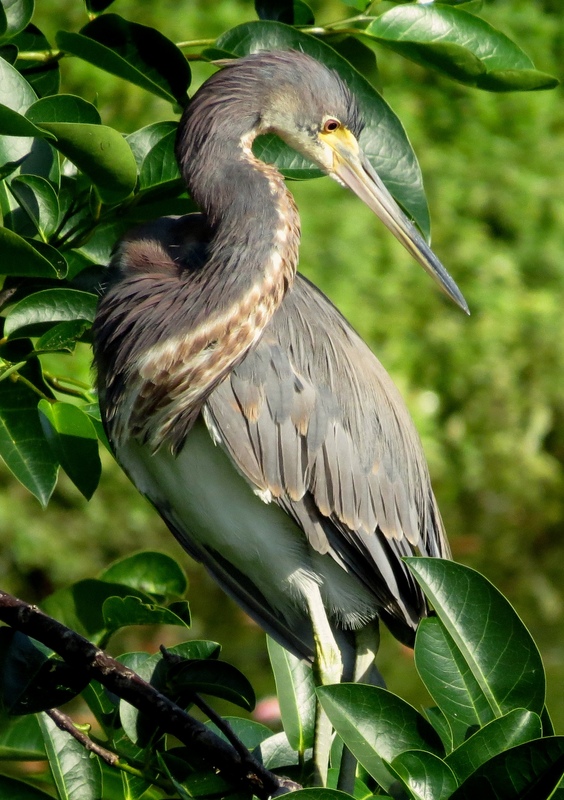 Would I be correct in saying that the Tri-coloured heron in the nest is displaying breeding plumage, or is that the normal? Yes you are correct, AB! During breeding season the Tri-coloreds’ feathers and beaks turn a deeper blue, and you can see the fancy white head plumage and the extra soft grayish purple feathers on his back, too. Sorry this isn’t a very good shot – he kept flying off and then hiding in the foliage. It wasn’t good lighting either ☺️. Sun was already too bright at 9:30 AM! Thanks Kathy – seeing your comment this morning was a very nice way to start MY day! All outstanding! It’s such a thrill for me to see these adorable babies! Love the fuzzy headed little greenie! It really is a thrill to see all the babies at this time of year, so close up! All the photos are lovely but the babies birds are a delight. Thank you so much for visiting my blog Ingrid! I’ll be interested to read about your travels – have a great week. Great photos! Reminds me of our rookery at Gatorland. Love seeing those baby. Interesting you mention Gatorland! I was near there once and had heard it was a great spot for birding. I went very early a.m. and got some good shots from areas near the parking lot :). Where is the rookery? 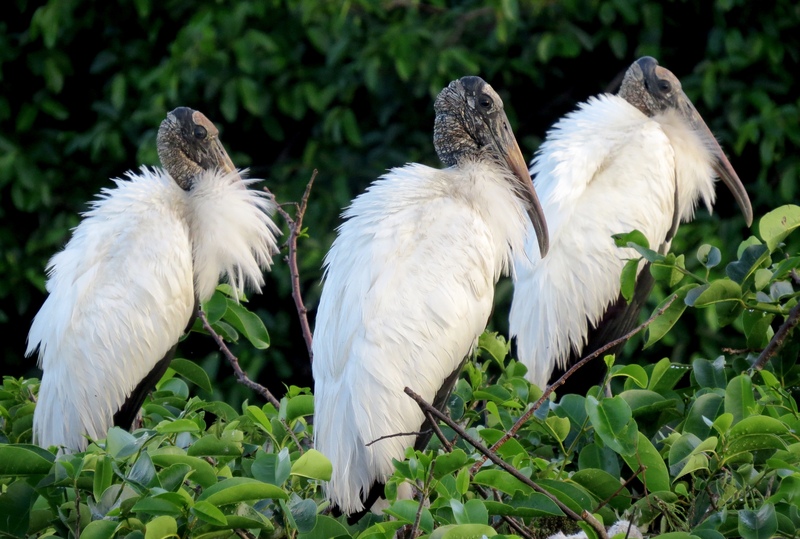 Thanks for the link to your videos and photos from the rookery! Thank you Sukanya… I’ve been thoroughly enjoying your alphabet challenge! What stunning photos, each one a beauty on its own. The baby, the adorable baby, how can one not smile looking at it! Your comment made me smile, BD… Thank you. Love these pictures – fantastic!